How Well Do You Know Your Bead-Weaving Techniques? Take Our Quiz! 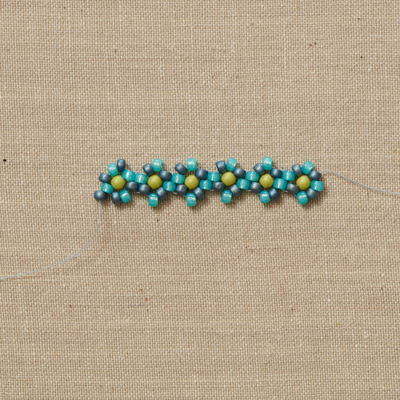 How well do you know your bead-weaving techniques? Are you an old pro, or do you need summer school? Take our quiz to find out! 1. Threads should be ____when warping your loom for beading. 2. Why do you need a tail end when you start a design? 3. 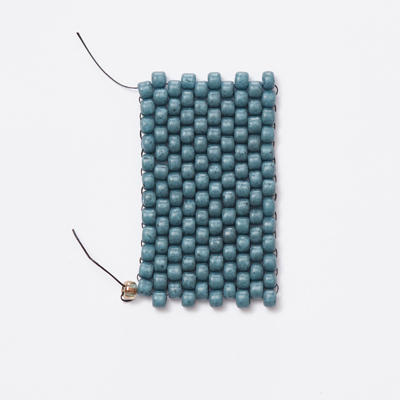 When stitching flat herringbone, how many beads do you add at one time? 4. Where does square stitch get its name? a. It is best worked with cubed or square beads. c. Finished beadwork must be even on all sides, creating a square. 5. Ladder stitch is commonly used as the base for which of the following stitches? How Well Do You Know Your Bead-Weaving Techniques? You might need to brush up on some basics. So you don’t know everything, but who does? The experts at Interweave do, and they know how to explain things in ways anyone can understand! 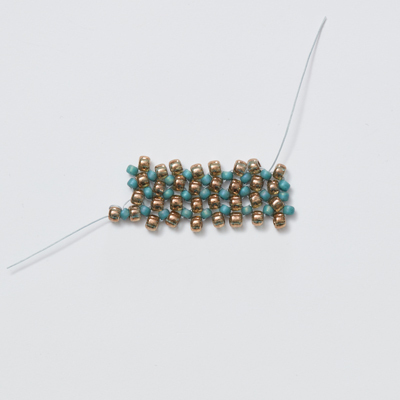 Try the beginning bead-weaving series courses and then get a subscription to go beyond the basics. 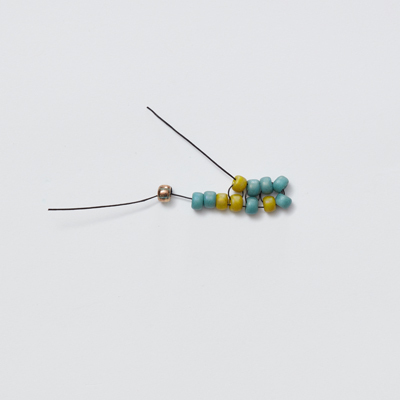 With a monthly course subscription, you’ll have access to the entire online Bead and Jewelry Workshops library! Receive access to dozens of courses on a variety of subjects, with new courses added each month! Spend this summer growing your bead-weaving skills with Interweave. You won’t regret it! 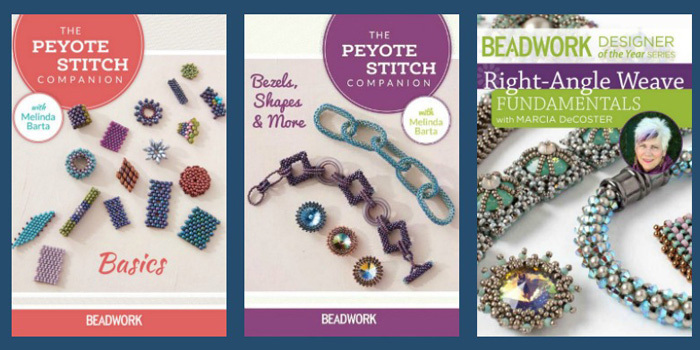 Other great bead-wearing resources to help guide you from start to finish: Melinda Barta’s Peyote Stitch Companion: Basics, Melinda’s Peyote Stitch Companion: Bezels, Shapes & More, and Carol Cypher’s Mastering Beadwork. Also check out Marcia DeCoster’s Right-Angle Weave series. It’s a great resource if you want to learn right-angle weave. You know the basics—time to try something new! 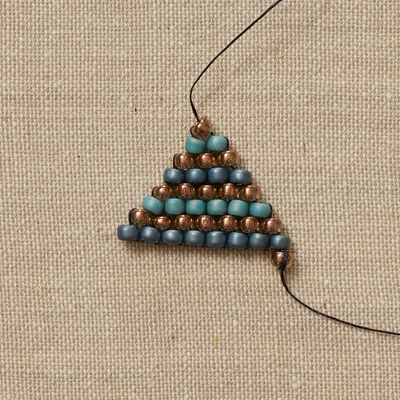 You have a solid foundation in bead weaving, but learning never stops! 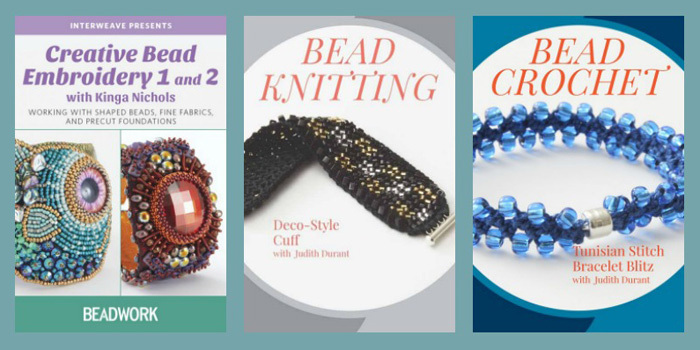 Try something new and challenging, such as Kinga Nichols’s Creative Bead Embroidery series, Judith Durant’s Bead Knitting tutorial, or Judith’s Bead Crochet tutorial. It’s never too late to learn something new! 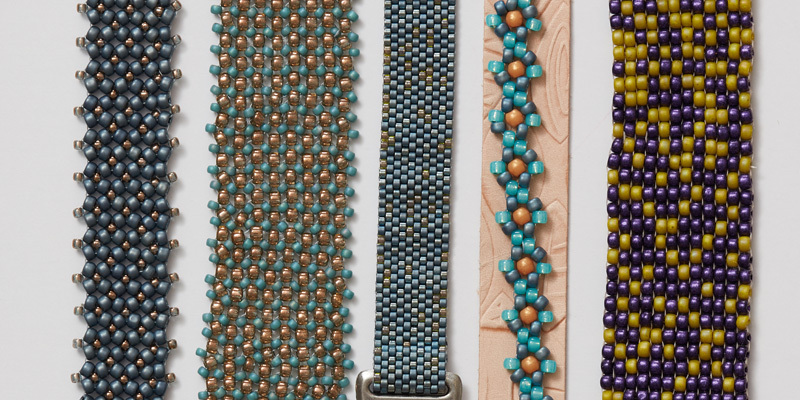 Your bead-weaving knowledge is top-notch and you’re ready for a challenge. 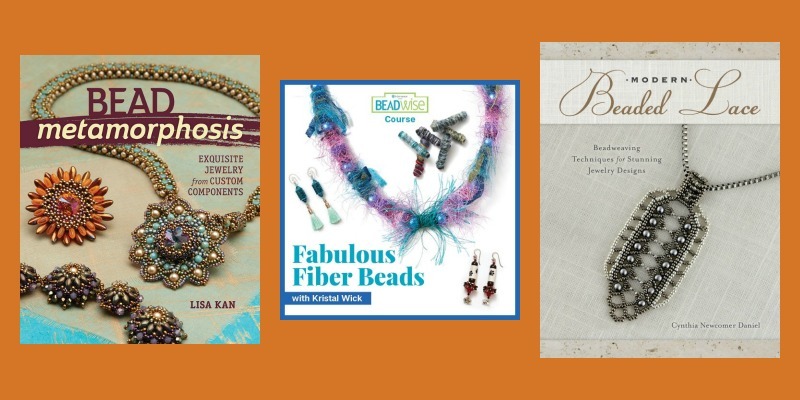 Explore more complex bead-weaving patterns in every issue of Beadwork magazine and in beading books that take you beyond the basics, such as Lisa Kan’s Bead Metamorphosis and Cynthia Newcomer Daniel’s Modern Beaded Lace. Or try making your own beads with Ronna Sarvas Weltman’s How to Make Polymer Clay Beads or Kristal Wick’s Fabulous Fiber Beads. It’s never too late to learn something new! 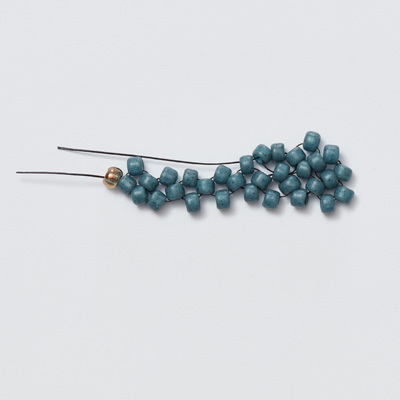 Interweave has something for every bead-weaver, from the beginner to the pro!